We believe that in preparing young men for life, we should strive to develop well balanced individuals. Emphasis is placed on a holistic approach to music, allowing the boys to participate in many different genres underpinned by a solid knowledge and critical evaluation of the subject, but with a balanced appreciation and a supportive environment in which to perform. Musicianship should be cultivated in every young man and their musical achievements celebrated. Formal music education starts with the junior boys who have the option to take music as a module. It is also an elective subject for senior boys. We follow the IEB syllabus concentrating on three major components and promoting several opportunities for the boys to achieve. St Alban’s College offers vocal and instrumental tuition in a variety of instruments. Our teachers are specialists in their specific instruments. Should a St Alban’s boy require lessons in a musical discipline not covered by the current teachers, we will make every effort to find a suitable teacher, wherever possible. 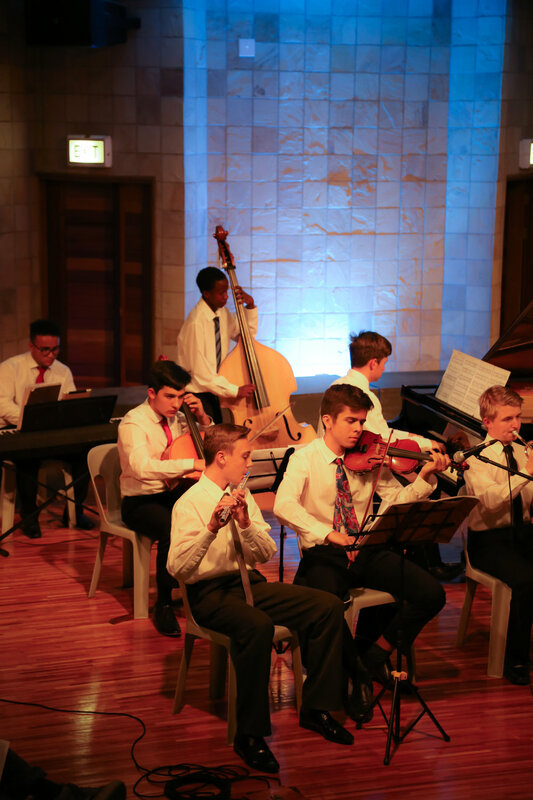 St Alban’s College has a very active co-curricular music programme, with a wide variety of instruments taught by a group of dedicated and professional musicians and educators.